Bottom Air Damper aids in the accurate control of your kettle BBQ's temperature and helps you sweep out your ash for easy clean up. 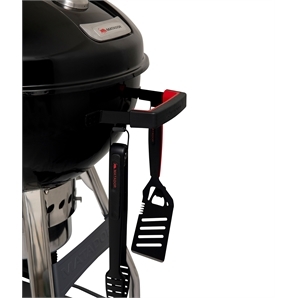 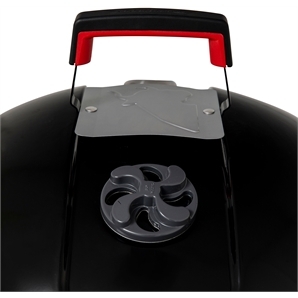 Tool hooks on the front handle provide an easy access option to store your BBQ tools when not in use. 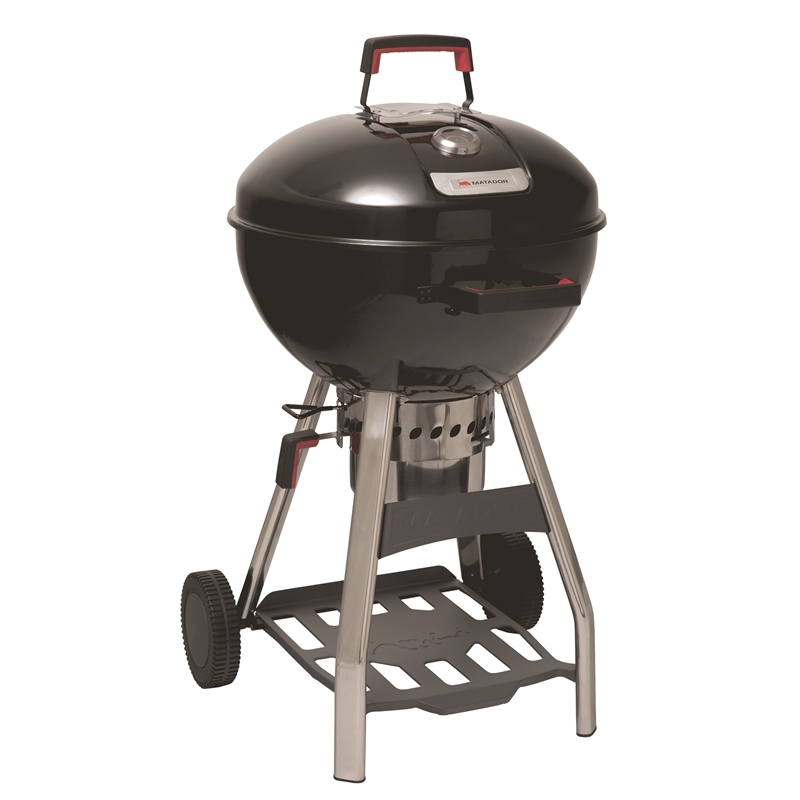 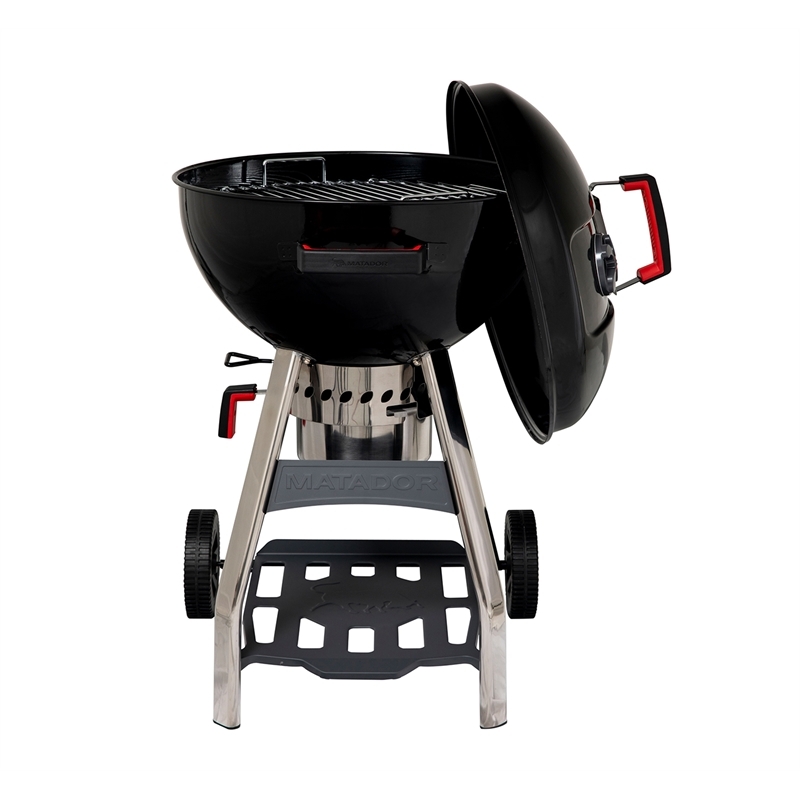 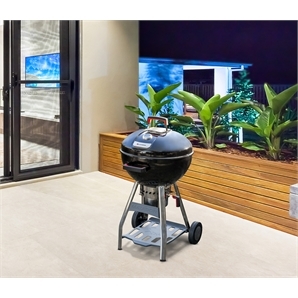 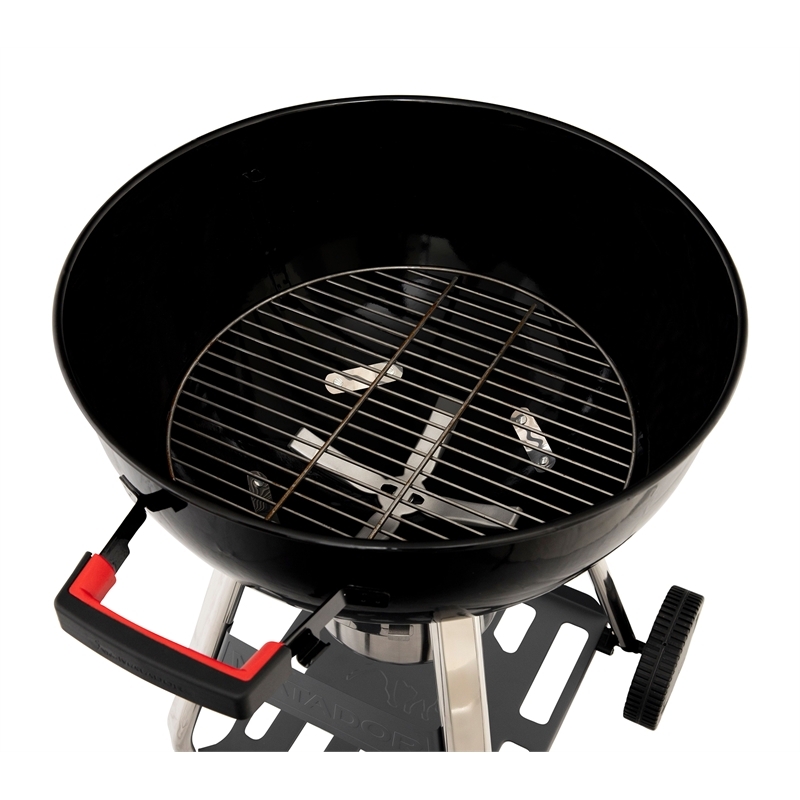 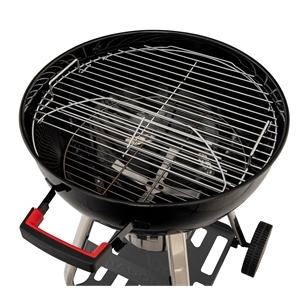 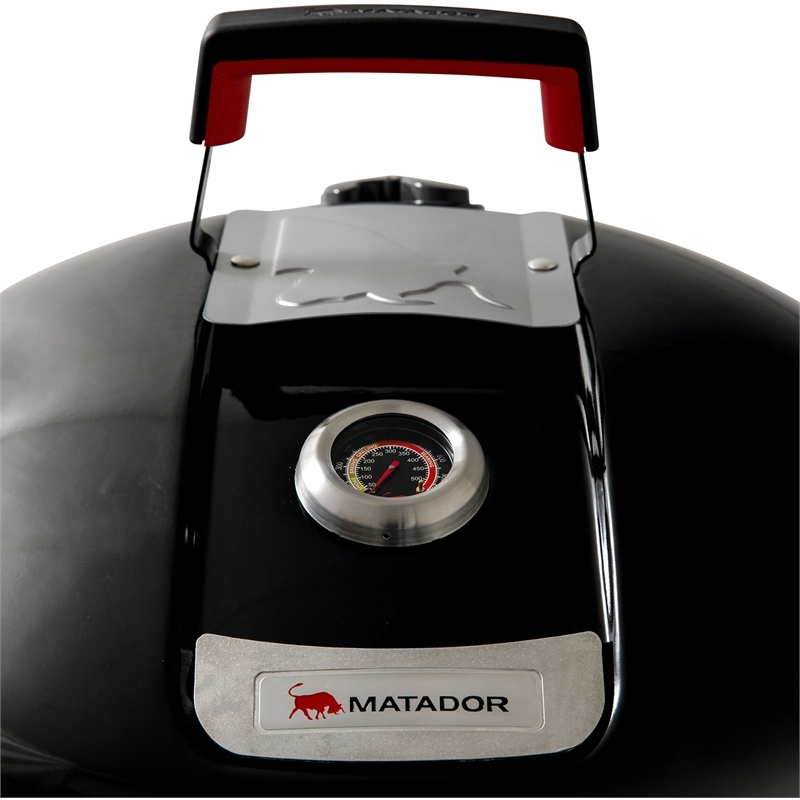 The hinged sides on the cooking grate make it easy to add charcoal during those long cooks. 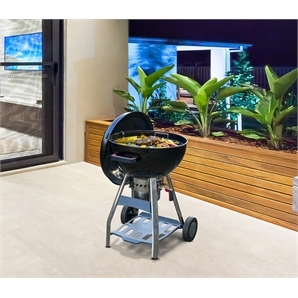 Your Radiant comes with an easy to use removable stainless steel ash pan for easy clean up. Large stainless steel temperature gauge helps you monitor and maintain control of your Kettle BBQ temperature. 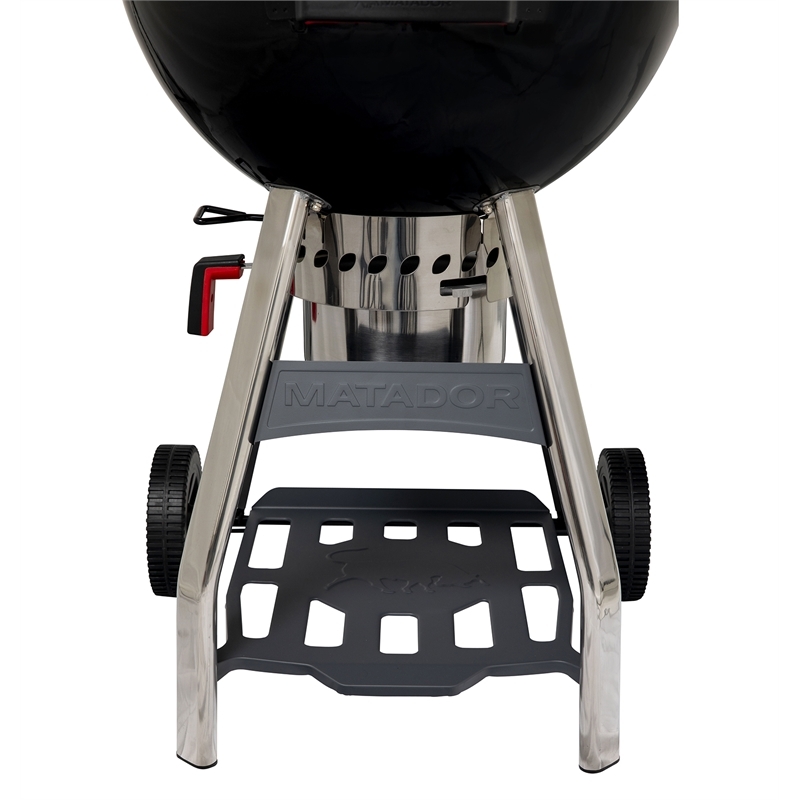 Stainless steel legs and a large metal storage shelf provide class leading performance.